Boost and refresh dull, limp locks with the Sachajuan Dark Volume Powder; a matte-finish, powder-based spray suitable for dark hair. Adding soft texture and malleable structure, the dry shampoo is perfect for instantly bringing lacklustre hair back to life in-between washes, absorbing excess oil at the roots to alleviate the look of greasiness. Featuring subtle dark pigmentation, it’s adapted to seamlessly blend with brown hair to avoid white patches and eliminate excess residue. Shake the bottle well before applying. 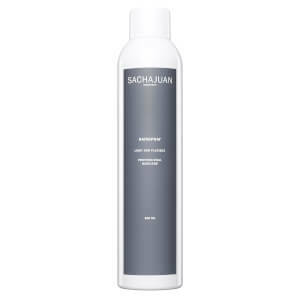 Spray on to the scalp from a distance of about 10 cm on dry hair and allow it to dry. Remove any surplus and style with your fingers. Protect clothing from the powder when applying.